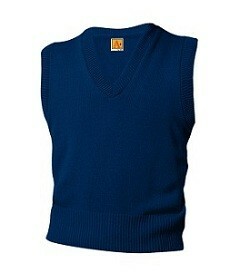 Classic V-Neck Sweater Vest. 100% lo-pil acrylic. Classic V-Neck Sweater Vest. 100% lo-pil acrylic. Embroidered with school logo.